Stobart Plc, the listed UK transport operator, has confirmed an investment in Aer Arann, a move that should allow the Irish airline to exit examinership (the Irish version of US Chapter 11). See AERBT Monday 30 August. The move will give the company a “small stake” in Aer Arann in the form of a convertible preference share but would not involve it in the day-to-day management of the business. It is understood that current owner, Galway businessman Pádraig O’Ceidigh, will continue to be Aer Arann’s majority shareholder and the management team, led by Chief Executive Paul Schutz, will remain in place. The total investment in Aer Arann could top €4m, according to sources. 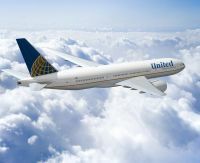 United Continental Holdings Inc, the newly merged holding company for the former United Airlines and Continental Airlines, published some very encouraging individual quarterly financial returns last week. The fourth quarter results will be combined. United reported a third quarter 2010 net profit of US$473m, an improvement of US$533m year-over-year. Continental has come up with US$367, a gain of US$365m on the previous figure. Panasonic Avionics and Boeing have combined to certificate a high-speed broadband system for the BBJ (Boeing Business Jet) 737. The fact that Boeing has acknowledged that perhaps it had previously made a mistake is to its credit. In August 2006 it announced the axing of its much praised but loss making Connexion system, stating that "the market for this service has not materialized as had been expected." As part of the installation agreement, Panasonic will use a privately owned BBJ for ongoing testing and validation, as well as for live demonstrations. The system supports a wide range of passenger and crew applications including very high speed internet access to passengers anywhere in the world at speeds of up to 50 Mbps to the aircraft. That is much in line with most speeds currently available, about 100 times the speed of the fastest internet currently available on commercial aircraft. 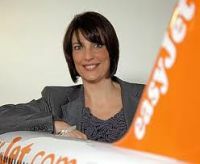 Sir Stelios Haji-Ioannou, the founder of easyJet, and (with his family) its major shareholder, has finally come to a deal with airline’s board which removes the possibility of the Luton-based operation having to find another name. The new agreement will see Sir Stelios receive 0.25% of the airline's revenues annually, fixed at £3.9m and £4.95m for the first two years, plus £300,000 each year. Under the arrangement incremental brand revenue earned by the carrier will not be challenged by Sir Stelios. Previously he had bitterly attacked the airline board's management strategy. This time around he described the agreement as a "win-win for all concerned". Easyjet's chairman, Sir Mike Rake, said: "I'd like to thank Sir Stelios for his constructive approach to our discussions over the past week." Tokyo Haneda Airport will officially return to the world of international aviation next Sunday (31 October), a number of carriers re-introducing long haul flights for the first time in over 30 years. With a 62m throughput last year, and a new runway, it could within a short space of time overtake Atlanta as the world’s busiest airport. In 1978, with the opening of Narita, airlines were forced to move to the new Tokyo International Airport, always unpopular and 40 miles from the city centre. Leading the rush back to the Tokyo Bay waterside operation is oneworld, headed by Japanese carrier JAL. The airline, Haneda’s biggest operator, currently has 184 daily departures serving 34 points across Japan. New flights will include Bangkok, Beijing, Hong Kong, Honolulu, Paris, Seoul, Shanghai, Singapore and Taiwan. Over the course of the next few months JAL will be joined by American Airlines (JFK) British Airways (Heathrow), Cathay Pacific (Hong Kong) and Qantas (Sydney). 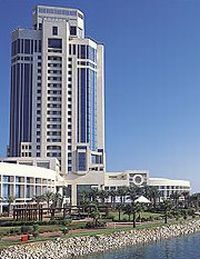 The Doha Ritz-Carlton has completed the first phase of a US$5.5m soft refurbishment. 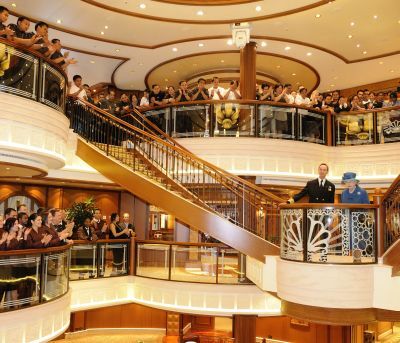 The project covered the hotel's 374 guest rooms and suites, which now feature wide-screen LCD TVs, wireless internet access and iPod docking stations. The renovation plan also included the hotel's lobby lounge, grand lobby and executive club lounge. 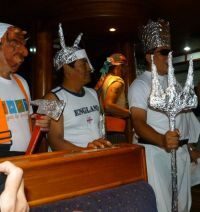 Gatwick Airport suffered some embarrassment last week when an aircraft belonging to Viking Hellas was mistakenly impounded due to debts owed by Viking Airlines. Viking Airlines AB, from Sweden, has suspended its winter programme and returned its aircraft to their lessors. Viking Hellas is a privately owned airline not directly connected to Viking Airlines other than sharing a similar name. Its routes include Iraq. Viking Hellas Airlines and Viking Airlines have co-operated operationally and commercially but are separately owned and managed and were not part of a group operation. On the face of it the non-appearance of air transport in the Chancellor’s spending review looked like a complete oversight by the Government on this most essential part of the UK’s total commercial operation. We have fought ever since World War II to be a leading nation air transport wise. This position we do not want to throw away. The huge increase in APD next weekend might be the straw that breaks the camel's back. The current Secretary of State for Transport, Phillip Hammond, remains largely invisible on airline matters, strange as his constituency of Runnymede and Weybridge is very much in the Heathrow employment area. Yet is this lack of visibility a bad thing? Does the Prime Minister want to make the mistake he clearly made in rushing through the cancellation of Heathrow’s third runway (which had met all the regulatory procedures) whilst promoting High Speed railway (HS2), a very worthwhile concept, but one that has enormous problems vested in it, both from a cost point of view, and regarding planning? Heathrow T6, like Stansted from an earlier political deal, would have cost the Government nothing. HS2 and its successors is a financial disaster waiting to happen. 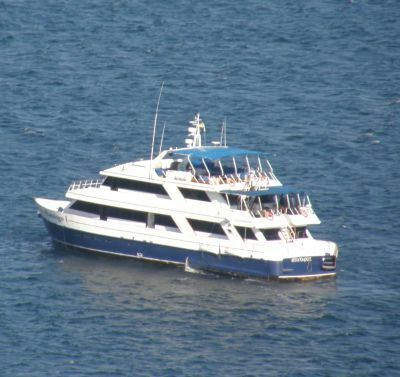 Which scheme is better for UK Ltd? You don’t have to be a brain surgeon to work it out. Let us hope that now with the pressure off in terms of meeting a 20 October deadline from the Treasury, Government can really assess just where it sits in terms of the commercial aviation scenario. Let us hope that the coalition can come up with a practical air transport policy that is really forward thinking and will allow the British airline industry to retain its top position in the international marketplace, a position that it has great danger in forfeiting due to a lack of political foresight. The Government has given itself a breathing space. Let us hope it will use it wisely. Buenos Aires (also see London non-stop next March) is to see a rise in Aerolíneas Argentinas frequencies to Auckland, Barcelona, Sao Paulo and Sydney next year. The Barcelona increase has already taken place with El Prat Airport now served non-stop four times weekly (up from three). Onward connections from Barcelona to Spanish and other continental destinations are in partnership with Air Europa. 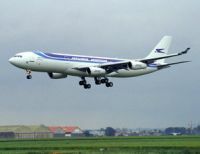 From January 2011, Aerolíneas Argentinas will add a fifth frequency to Sydney and Auckland. All flights will be operated by two-class Airbus A340 aircraft. 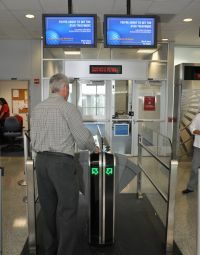 United Airlines (in its Continental mode) has introduced an automatic gate reader on an experimental basis using a single international pier at Houston (IAH). It is the first time such an operation has been tried in a North American airport although Lufthansa has been using the same system since 2003 and now has it on all its gates at Frankfurt and Munch Airports. Passengers not happy with what Americans call ‘self boarding’ can always ask for help, staff available in any event for passport identification. The US Transportation Security Administration says the arrangement does not jeopardize security because all passengers are screened before they get to that point. Unite, the trade union representing British Airways cabin staff, has agreed to put a recommended offer to its 11,000 members working for the airline. Details of the voting procedure have still to be confirmed. If accepted it will bring to an end a long running dispute that has severely impacted on BA’s bottom line, many potential passengers abandoning the airline in search of more guaranteed seats. Under the arrangement cabin crew travel perks will be restored, but not fully until 2013, wage rises will be limited to a capped RPI+ figure, and an annual bonus of £6,616 will be paid to mainline staff in lieu of individual allowances. NBAA kicked off last Monday its 63rd annual business aviation show in Atlanta with a packed press conference learning that NetJets would place a 120 aircraft order (50 firm and 75 options) for Embraer’s Phenom 300 light jet. Worth US$1bn, it is a record commitment for business jets since the global economic crisis struck. 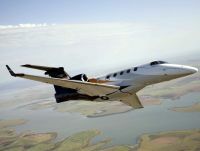 Deliveries of the first 50 will commence in 2013 through to 2015 with 20% going to NetJets Europe. “This is a tremendous endorsement for Embraer, now in our ninth year in business aviation and it will definitely help future sales,” said Embraer Chief Executive Fred Curado, who apparently only got the nod on Friday that they had won the closely fought contest. NetJets has previously purchased its business jets from US manufacturers. The intention, according to NetJets Chairman and CEO David Sokol, is to reduce the number of smaller cabin aircraft types in the fleet to two. 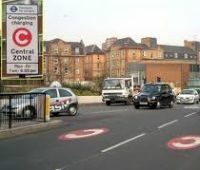 Boris Johnson, Mayor of London, has confirmed his decision to remove the Western Extension Zone of the controversial Congestion Charge scheme by Christmas and to make a number of improvements including the introduction of an automatic payment system (CC Auto Pay) that will mean in theory that no one need ever be fined again. 62% of respondents to Transport for London’s (TfL) public consultation on the Western Extension backed its removal. The last charging day in the Western Extension will be on Christmas Eve, 24 December 2010. 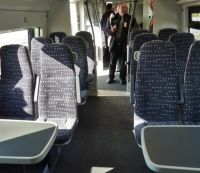 National Express East Anglia (NXEA), the operator of the Stansted to Liverpool Street airport service (and universally called the Stansted Slow – it has at least two stops en-route) has unveiled the first new Class 379 train at a special preview event at train manufacturer Bombardier Transportation UK’s Derby factory. The first train will not be actually introduced until next May due to testing requirements. British Airways is to retire its last passenger Boeing 757 with a special flight on Saturday 6 November. BA was one of two launch customers (along with Eastern Airlines in the USA), with their first aircraft being delivered in January 1983. In total BA operated 53 (including Caledonian Airways), the fleet flying an estimated total mileage of six hundred million miles, and carrying one hundred and thirty million passengers. Currently fitted with 186 seats the Rolls-Royce powered aircraft was initially likened to the Boeing 707, but with two engines. 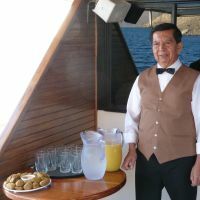 In retirement most are finding a new life flying as freighters for ‘overnight package’ operators. West Atlantic, Europe's largest regional cargo airline, is to become the world’s first operator of the Airbus A320 passenger to freight (P2F) conversion. The deal will provide for three aircraft to be delivered between the end of 2012 and mid-2013, with the option of a further four aircraft by 2015. The Airbus A320 family includes over 4,300 aircraft already built and an additional 2,300 aircraft on order. Whilst the classic Boeing 737 family, which predates the Airbus 320 series by 20 years, has already been widely accepted by the air cargo industry, the more advanced fly-by-wire Airbus is a generation ahead in terms of technology. Behind the deal is Dutch leasing company AerCap. In 2008 it contracted with Airbus on a programme to purchase and convert A320 and A321 aircraft into freighters with a capacity of 21 and 28 metric tonnes respectively (depending on variant), a 121-inch (3.1m) aft cargo door plus ETOPS long range capability. 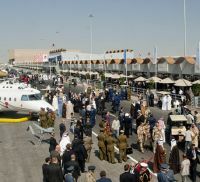 Farnborough International Ltd has agreed to assist in hosting the Bahrain International Airshow at Sakhir Air Base (Kingdom of Bahrain) from 19-21 January 2012. 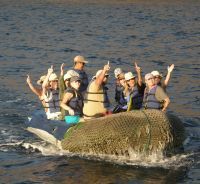 The inaugural show was held in January 2010, a very great success. Already signed up are Bexair, Cessna, Gulfstream, Lockheed Martin, MENA Aerospace and TAG Aeronautics plus a number of companies established in the Gulf area. Florence (Italy) is the latest destination to be added to London City Airport’s route network. 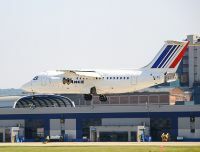 A six times per week Avro RJ85 service will be inaugurated by CityJet on Monday 10 January 2011. As a preamble the airline, part of Air France/KLM, will offer a limited service over the Christmas period. Florence Airport is a small, compact and easy to use operation with many similarities to London City Airport. It is a 15-minute four-mile drive from Florence, arguably the greatest city of the Italian renaissance (see AERBT 25 January 2010). The gateway to Tuscany, Florence has a wealth of museums, palaces and churches housing some of the world’s greatest treasures. Nearby cities include the port of Livorno and Pisa. Florence, and its hinterland, is the third-biggest industrial centre in Italy. Key export sectors are textiles (clothing and fashion), mechanical engineering, and chemicals and pharmaceuticals. London’s Gatwick Airport is to benefit from a major redevelopment of its railway station, the busiest rail/airport operation in the country. 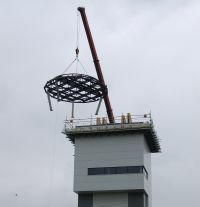 It is part of a £1bn investment package by the new airport owners. 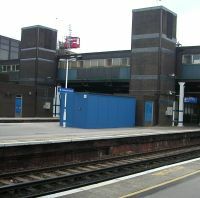 The scheme includes a new platform to address the existing bottleneck for services on the Brighton mainline; Improved passenger circulation on platforms 5 and 6 through the replacement of an existing stairway with an escalator and the installation of a new lift; refurbishment of the concourse area to provide better facilities for passengers and improved circulation; upgrade of the track and signalling to improve performance and reliability of trains passing through and travelling to/from the airport. Separately the airport has announced the signing of a contract enabling Shiva Hotels Ltd to operate a new 192-room 'Hampton by Hilton' hotel, located in the North Terminal. 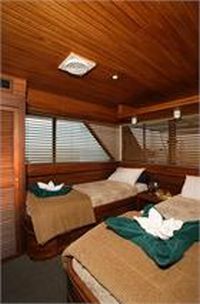 It will offer 3-star accommodation for business and leisure travellers as well as provide facilities for conferences and events. Flybe is making some important changes next weekend (Sunday 31 October) with its operations from the UK to Paris. 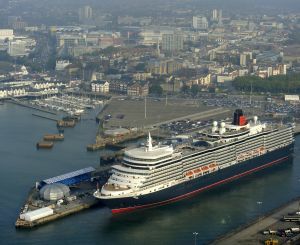 Perhaps the biggest alteration is the change to Orly for the three times daily Southampton service. 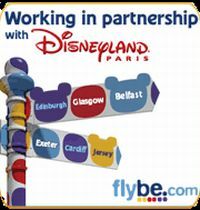 Flybe becomes only the second ex-UK operation to serve the Paris West airport, which is much closer to the city centre than Charles de Gaulle. 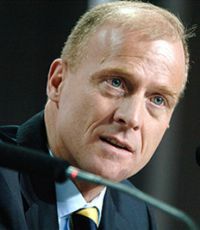 Airbus CEO Tom Enders, speaking to the London Aviation Club last week, confirmed that the EADS subsidiary would confirm future plans for its A320 series aircraft by the end of the year. Both Airbus and Boeing face the dilemma of either offering an entirely new narrow bodied aircraft by the end of the decade, or re-engineering the existing airframe. Whilst upgrading the power units would cost a fraction of an all-out new plane, both companies are hesitant, with new aircraft introductions consuming an enormous amount of effort and resources.